Vacation season is right around the corner and, for many, that means loading the family into the car and heading out on a road trip. It used to be that getting to the destination was no holiday, thanks to wrestling with paper maps that never folded back the right way, or arguments over which route to take. 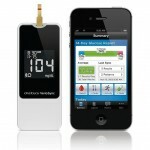 Now technology has made on-the-go guidance easy to get and use. 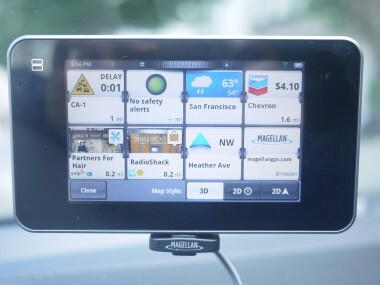 I tried a smarter navigation option this week, with the Magellan SmartGPS, a $250 portable device for the car that works with smartphones rather than against them. It lets you wirelessly send addresses and preplanned trips from your smartphone or computer to the navigation device, eliminating the car-waiting-in-driveway scenario. SmartGPS also integrates information from social networking sites like Yelp and FourSquare to provide local recommendations for restaurants, hotels, attractions and other points of interest. Magellan hopes people will see this device as a comparable but cheaper alternative to the ones built into today’s newer cars. 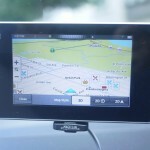 The idea behind SmartGPS is a good one, but in my testing, I found that the execution wasn’t perfect. 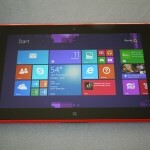 The screen gets cluttered with information, which can be distracting, and it also had some performance issues. 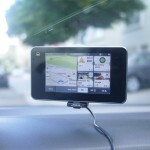 The SmartGPS is about the size of a small tablet (3.5 inches tall by 6.4 inches wide by 0.5 thick) or a really big smartphone, and features a five-inch touchscreen. While the display is clear, I think Magellan missed an opportunity to include a larger screen that could accommodate all the information that it shows, which I’ll get to in a bit. 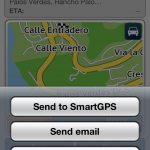 To take full advantage of the SmartGPS, you’ll want to download Magellan’s accompanying mobile app (Magellan SmartGPS for Android users and Magellan RoadMate On-the-Go for iOS users; both are free) and set up a MiCloud account on Magellan’s website, so you share information between your devices. 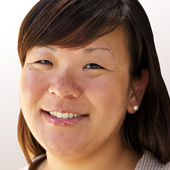 You’ll also want to connect to a Wi-Fi network or pair it with your Bluetooth-enabled smartphone, so it can pull information from Yelp and Foursquare. 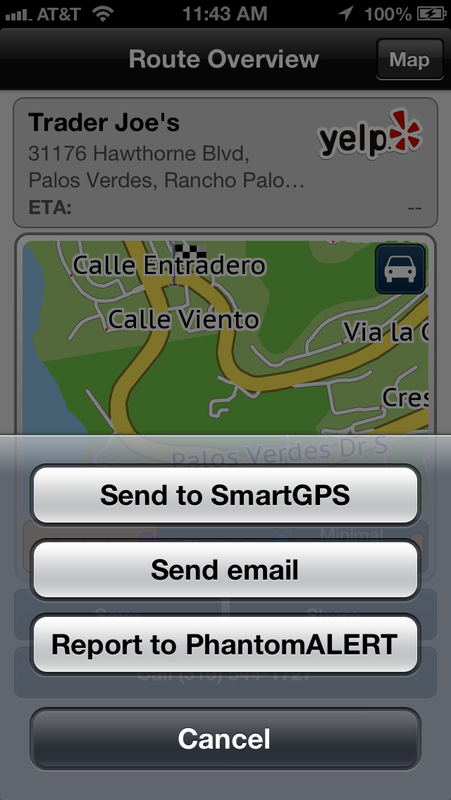 I paired the SmartGPS with my iPhone 5, and also connected to my home’s Wi-Fi network without issue. The entire process is pretty straightforward, but I found navigating through the SmartGPS’s various menus a bit sluggish. There was always a brief delay between the time I tapped on an item to the time the SmartGPS actually executed on the task. In one instance, when I was trying to connect to a new wireless network, the screen went blank for so long that I rebooted the device. But I was eventually able to log on to the new network, and after a few minutes, the SmartGPS began to populate the screen with information. If you’re just driving around, the SmartGPS touchscreen offers a split-screen view, with a live map on the left half of the screen, and four tiles on the right half. The top two tiles show you information about any traffic delays or safety alerts, while the bottom two display data from Yelp and Foursquare. When navigating to a destination, the map automatically expands to take up 75 percent of the screen, and only two tiles are displayed. The top one rotates between traffic and safety alerts, and the bottom flips through Foursquare, Yelp, gas prices and other info. Though I like the idea of being able to find gas by the lowest price and getting more personalized recommendations through the social networking sites, I found the constant flipping of information to be distracting to me as a driver. 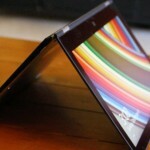 It’s not immediately apparent, but you can adjust the view by using the virtual scroll wheel at the top of the screen. 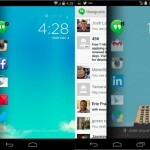 Swiping all the way to the right brings up a full map view, while swiping to the left fills the screen with even more tiles, including weather information, current gas prices, and a shortcut to a Web browser. I’d recommend using the latter only when you’re stopped for a long period of time or can have your passenger look up the information. 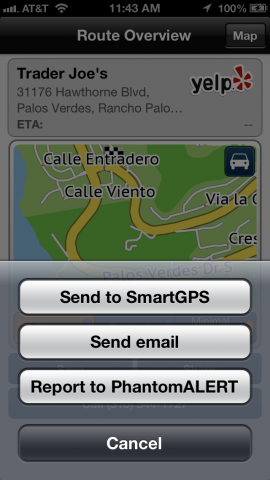 What I really liked about SmartGPS was the ability to sync directions and addresses to the GPS unit from my smartphone or laptop. After making plans to meet a friend for dinner one night, I used the Magellan’s iOS app to look for restaurant recommendations via Yelp while I was at the office. Once I decided on a place, I was able to send the address to the SmartGPS with a couple of taps. 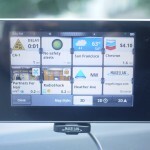 Then, once I got into my car and reestablished the Bluetooth connection between my phone and GPS, the address synced to the SmartGPS and all I had to press was Go. 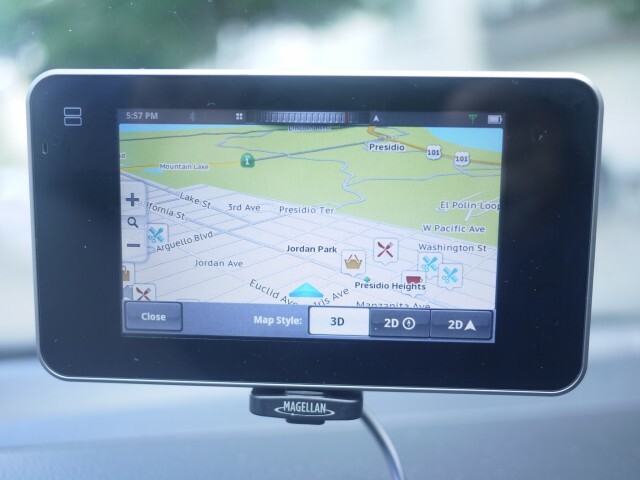 Similarly, using Magellan’s Web portal, I planned a trip down to Santa Cruz, Calif., with multiple stops in between, and it synced with the SmartGPS beautifully. It’s a particularly useful tool if you’re planning a longer road trip and want to visit various destinations along the way. As for the accuracy of directions, the SmartGPS was generally on point. On a recent trip to the San Francisco airport, it provided the most direct route from my house. I also purposely missed a couple of turns to see how fast the SmartGPS was at rerouting, and the system was very quick to get me on track. 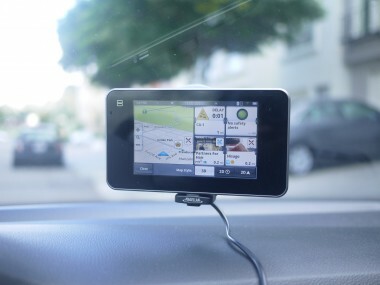 Even with the short San Francisco blocks, the SmartGPS offered new directions within a few seconds. That said, there were a couple of times where I thought the device produced some roundabout directions. In a time where smartphones and integrated GPS in cars are making portable navigation systems less relevant, the Magellan SmartGPS offers some cool features that make it stand out. But its constant display of information won’t be appealing to everyone.